Last night we heard the rumor that Ford's Lincoln brand will receive a new Town Car-replacing flagship large sedan that harkens back to the Continental. However, according to our sources, it won't be called the Continental. After ejecting the Premier Automotive Group — Jaguar, Land Rover, Aston Martin and Volvo — Ford hasn't really had a premium brand. There's Ford's Lincoln brand — but that's not what you'd call a real luxury brand. Ford's Lincoln brand is still seen as Ford's Oldsmobile — you can say this is not your father's Lincoln until you're blue in the face, but we all know that's just not true. Still, since FoMoCo needs a luxury brand, they told dealers this week the company wants a new two-legged VW-like strategy — with the Ford brand playing the role of VW and Ford's Lincoln brand playing the role of Audi. So we guess Ford's Lincoln brand (note the use of the term "Ford's Lincoln brand" rather than, say, Lincoln. That's because Ford also told dealers this week that they want to completely separate out Lincoln in their minds — as a separate company with a separate brand identity. Hmm. but we won't do that until they, you know, actually have a separate identity that includes vehicles designed with more than platform prostitution in mind) needs an A8 — a big, classy techno-luxo-barge to replace the outgoing Lincoln Town Car — which, frankly, was anything other than the third of those descriptors. Automotive News claims this morning that Ford may revive the Continental brand name as part of that overhaul. They're right — there will be a Lincoln MKT (Ford Taurus platform)-derived large sedan to take over for the outgoing Lincoln Town Car, but our sources tell us the name won't be Continental. 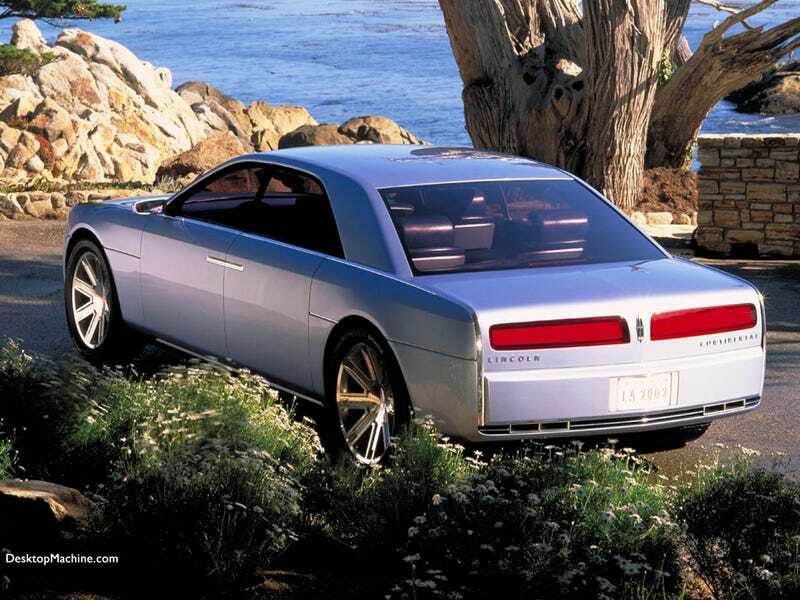 We're also hearing Ford's again looking at suicide doors for this new luxo-barge — think something similar to the 2002 Lincoln Continental concept — but that's not yet set in stone. In fact, it may just be a design element we'll see on a concept version of the new sedan. But back to the name — another source tell us Ford hasn't yet settled on one yet, claiming, "we haven't named this car yet. It is based on the MKT but final nomenclature is forthcoming next year." Our sources haven't yet ponied up with the names being tossed around, but if FoMoCo's not-yet-a-luxury-brand were to continue its somewhat-confusing MK-fill-in-the-blank naming strategy, maybe they'll call it the MKC or MKLTC or MKBFS (yeah, you can probably guess what that one means).